This summer, from 2nd July to 3rd August, Kopparberg is opening an Urban Forest at the Bootstrap Company's space in Ashwin Street, Dalston. Open daily, it'll serve as a space for anything from gigs to DJs to street artists, plus a great bar, and food from people like Brick Lane’s Swedish Bar and Kitchen, Fika. Get involved! 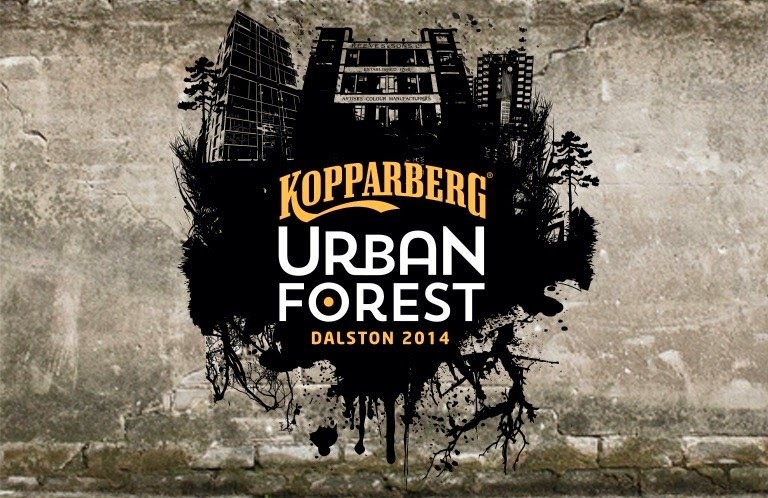 "This summer, hidden away behind the urban streets of Dalston, The Kopparberg Urban Forest will see a magical mix of live music, street art and mouth-watering food and drink entwine in a corner of the capital. Opening for five weeks at Dalston’s Bootstrap Company from Wednesday 2nd July, The Kopparberg Urban Forest will home a bespoke woodland bar inspired by the beauty of the Swedish pine forest that sits above the brewery in the small town of Kopparberg. Showcasing the intriguing beauty of the forest through an East London lens, The Kopparberg Urban Forest will be a truly unique and sociable space to spend the summer. Until 3rd August Kopparberg will give visitors to the forest the chance to escape the city and join them for amazing live music. Gracing the stage will be established Scandinavian acts such as Francobollo, MØ, Karin Park and Bernhoft and some of the UK’s top festival artists including New Young Pony Club and Lucy Rose. 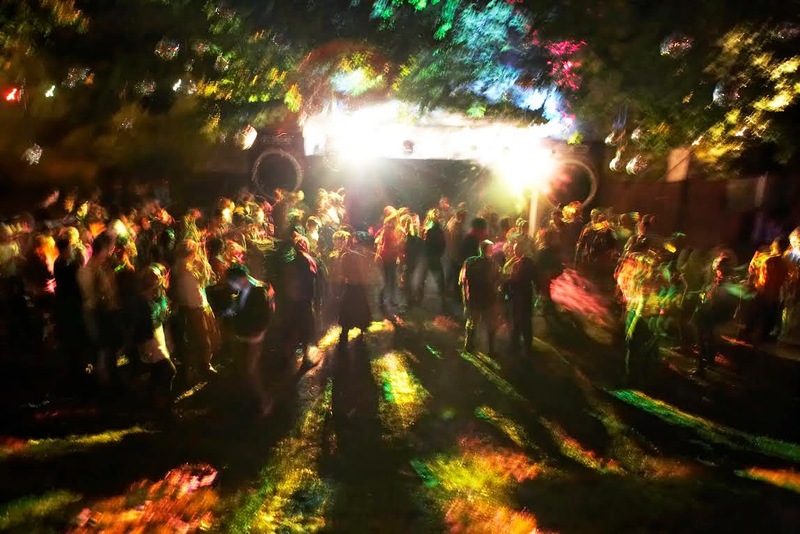 After dark, The Kopparberg Urban Forest will bring together London’s most revered DJs and club nights, including Sweden’s Project Fresh Socks Hip Hop Karaoke and Propagandato create a boutique party atmosphere for friends below the twinkling light of the stars. Ensuring delight for all the senses, hidden deep within the The Kopparberg Urban Forest, will be three of East London’s finest leading street food eateries, including Brick Lane’s Swedish Bar and Kitchen, Fika. Not forgetting the liquid refreshment Kopparberg will serve its delicious premium fruit ciders alongside a rarely seen selection of Kopparberg brewery beers while a small cocktail bar will serve up refreshing cocktails, including East London’s own cocktail, The Dalston Thing. Graffiti from London’s local street artists will be also showcasedfor the duration of the Kopparberg Urban Forest’s residency with other artists asked to contribute their own thoughts and stories inspired by the forest throughout. Working closely with London-based charity and venue The Bootstrap Company, Kopparberg will help facilitate work that supports local creatives and social microenterprises by representing the best that East London has to offer. As part of this support, £1 from the sale of each Dalston Thing cocktail, a golden rum, melon liqueur and Ting grapefruit drink cocktail, will be donated direct to another local charity, Dalston Bridge. When the Urban Forest closes its doors, Kopparberg will also be gifting its trees and greenery to The Bootstrap Company for distribution among its projects." Open from 12pm- 11pm Sunday to Thursday, and 12pm- 12am Friday and Saturday.